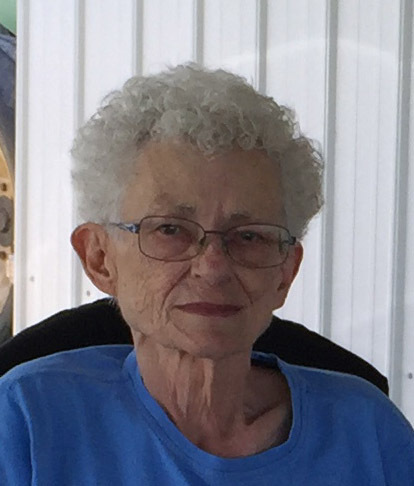 Jo Ellen Worden, age 83, of Roanoke, passed away Tuesday, February 5, 2019, at 11:43 am at Lutheran Hospital, Fort Wayne. She graduated from Huntington High School in 1953. She worked at Indiana Air National Guard from 1953-1957, was a farm wife and stay at home Mom, then worked at Supermarket Services, Inc. from 1974 until her retirement in 2002. She enjoyed watching her 4 grandchildren in school and 4H activities, baking, cross stitch, word search, and watching birds. She was an avid Purdue basketball fan. Jo Ellen was born August 22, 1935, in Huntington, the daughter of Lloyd and Edna (Kuper) Fluke. On June 17, 1955, she married her beloved husband of 62 years Eugene C. “Gene” Worden in Huntington. He passed away September 28, 2017. Surviving are 2 sons Robert E. Worden and Mark Worden both of Roanoke, 2 daughters Marsha (Don) Poulson of Warren and Brenda (Mike) Norwood of Roanoke, and 4 grandchildren Landon Poulson, Braydon Poulson, Brody Norwood and Jami Jo Norwood. Visitation will be held Friday February 8 from 2-8 pm at Roanoke Memorial Chapel of Deal-Rice Funeral Homes and 10-11 am Saturday February 9 prior to the 11:00 am funeral service at the funeral home. Pastor Rick Hines will officiate. Burial will follow in Glenwood Cemetery, Roanoke. Preferred memorials are to Visiting Nurse & Hospice Home, c/o Roanoke Memorial Chapel, 240 Crestwood Drive, Roanoke, Indiana 46783.